I do a lot of baking. A lot. Starting in the fall, I bake every Sunday. Bread, pies, cakes, pizza, pretzels, pita, muffins...you name it, I've probably baked it. I was interested in reviewing The Hot Bread Kitchen Cookbook: Artisanal Baking from Around the World in hopes it would expand my baking repertoire. In leafing through the book, I went from interested to excited! I have never heard of The Hot Bread Kitchen before learning about this book. Apparently, it is a non-profit bakery run out of East Harlem, New York. They help foreign-born, low-income men and women become financially independent working at the bakery, and then assist them in finding jobs or even starting their own business. You can read about them on their site, or in their book, where author, founder and CEO, Jessamyn Waldman Rodriguez explains her amazing story of how she created this amazing organization. Back to the book. So, yeah. The business has a great story, but that doesn't mean the book is worth buying, does it? Yes, it absolutely does. The pictures are beautiful. The recipes are easy to follow. I like that they include information and recipes on how to eat it, or what to eat it with. A pita bread recipe is great, but it's even better when it's followed by a recipe for hummus. More importantly, this book is filled with tips on how to bake and even stories of their origins. I originally thought I'd start with The Dark, Crusty Loaf chapter. But I have so much kale growing, that this Sunday I'll be making Kale, Onion, and Cheddar M'smen from the chapter on Primordial Bread: Unleavened Flatbreads. 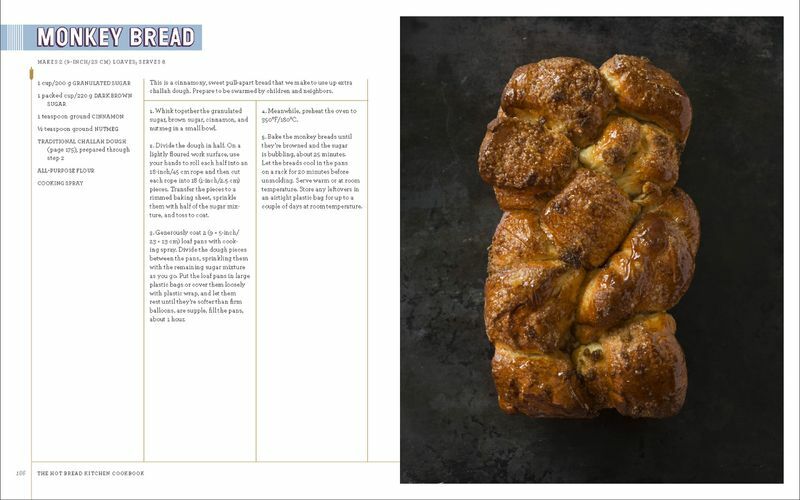 I'm sure my family would prefer if I started with the Challah and Beyond: Enriched Breads, Rolls and Buns chapter that has this beautiful looking Monkey Bread. Real Monkey Bread, people. Actual monkey bread. For the love of God, stop using Pillsbury biscuit dough for everything! It's not "just as good." It's not "the same thing." Just. Stop. Please. WOULD I BUY IT? Absolutely. And I am saying this as someone who regularly buys bread. 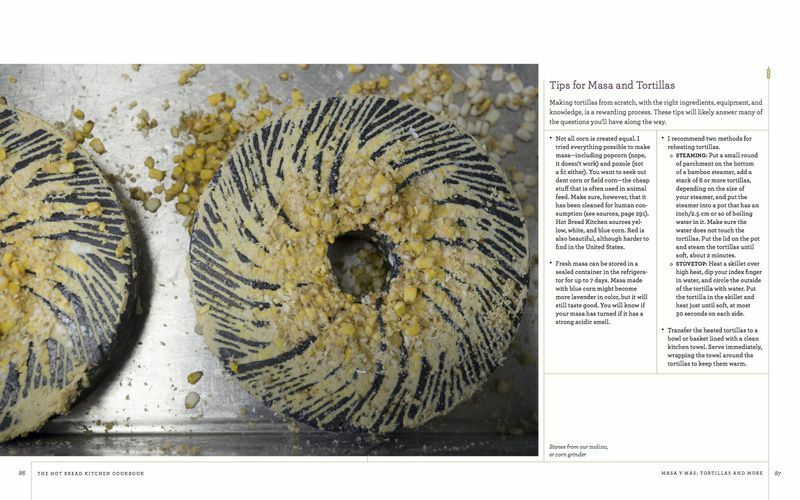 The tips and bread shaping information alone makes The Hot Bread Kitchen Cookbook: Artisanal Baking from Around the World worth buying. So people stop buying bread that lasts for months and never seems to go bad, because that's gross and creepy. Instead of buying gross, full of weird ingredients you can't pronounce biscuit dough, buy this book. Once you realize how easy it is to make bread, you will never go back to store bought.